the cinderella project: because every girl deserves a happily ever after: Viva Las Vegas! "Ladies and gentlemen - Elvis has left the building!" Gone are the days of Las Vegas being a destination of the cliched bachelorette party. Today's Las Vegas features a wealth of tasteful surprises to delight the senses, such as an array of relaxing spas, designer stores, and fine dining restaurants. Make your bachelorette party one to remember with an intimate dinner with your girls at the gorgeous restaurant The Mix at The Hotel, Mandalay Bay. 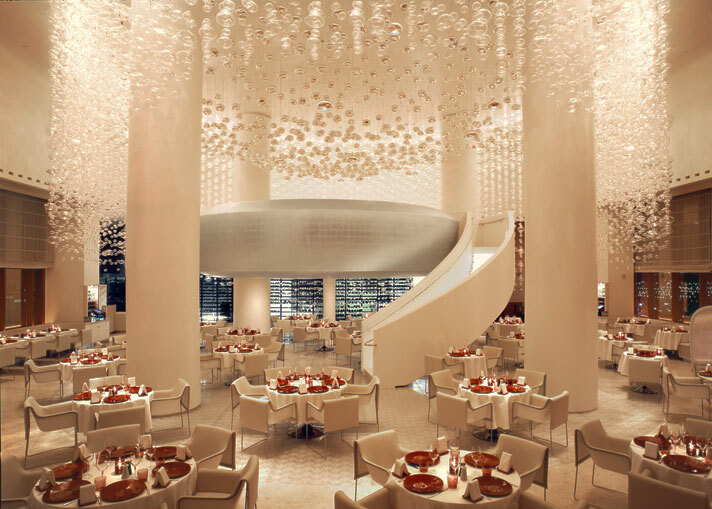 With breathtaking views of the city from the 60th floor and 14,000 hand blown glass bubbles to create a modern masterpiece you'll start to think Sin City is a bit of heaven on earth. The only sin you'll be committing? Having entirely too good taste! Personally though, I want a nice spa retreat bachelorette party in someplace off the beaten path in New Mexico or something, but Vegas is always a sinfully grand time!